California’s recreational boaters increased their contributions to this year’s Coastal Cleanup Day, Sept. 15. This year, 412 volunteers statewide cleaned 35 miles of shoreline and collected approximately 3,640 pounds of trash and recyclables — on land and from 32 non-motorized vessels. 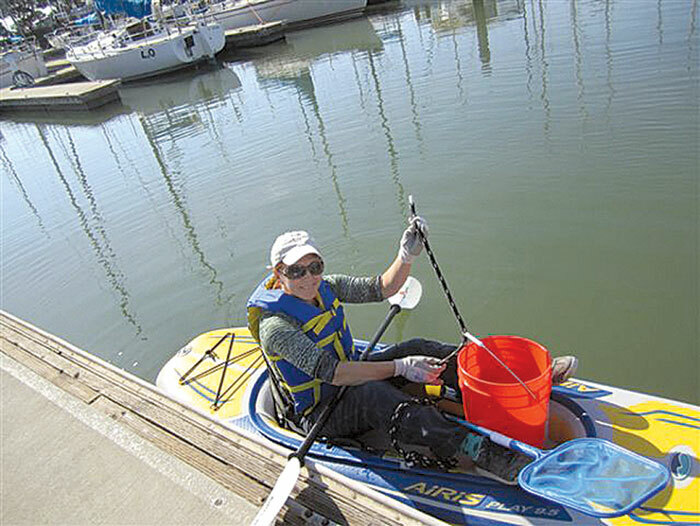 “Recreational boaters are committed to keeping California’s waterways clean and to efforts that make the marine environment healthier,” said Lucia Becerra, acting director of the California Department of Boating and Waterways. With 75 percent of California Cleanup Day sites reporting results of this year’s efforts, the statewide count for volunteers is at 60,593. Those volunteers picked up approximately 670,372 pounds of trash and recyclable materials — 304 tons — and cleaned up more than 1,400 miles of coastline. The boating community contributed 31.5 percent to these numbers through California’s Coastal Cleanup Day program for marinas and yacht clubs. Information was collected this year during the 28th annual Coastal Cleanup Day to better understand what resources recreational boaters require to further help in the event. Yacht clubs and marinas will also be part of this effort in 2013. For information on how to participate, visit coast4u.org or contact the following coordinators: Vivian Matuk, (415) 904-6905 or Shannon Waters, (415) 904-5214. Marinas and Yacht Clubs: Aeolian Yacht Club, Alamitos Bay Yacht Club, Andreas Cove Yacht Club, Ballena Bay Yacht Club, Ballena Isle Marina, Encinal Yacht Club, Eureka Marina, Grand Marina, Half Moon Bay Yacht Club, Humboldt Bay Yacht Club, Long Beach Yacht Club, Oakland Yacht Club, Owl Harbor Marina, Sea Breeze Yacht Club and Seal Beach Yacht Club. County Coordinators/Partners: city of Alameda, Alameda County Industries, American River Parkways, Heal the Bay, city of Long Beach/El Dorado Nature Center, Pacific Inter-Club Yacht Association and San Mateo County Water Pollution Prevention.